Looking to go family shopping this summer? Then hit up Waves in Purusaiwakkam. Located in a quaint-looking, spacious bungalow, Waves is a one-stop destination for all your casual clothing needs. Ladies, you can choose from an array of good quality surplus t-shirts, tops, denim and jammies here. 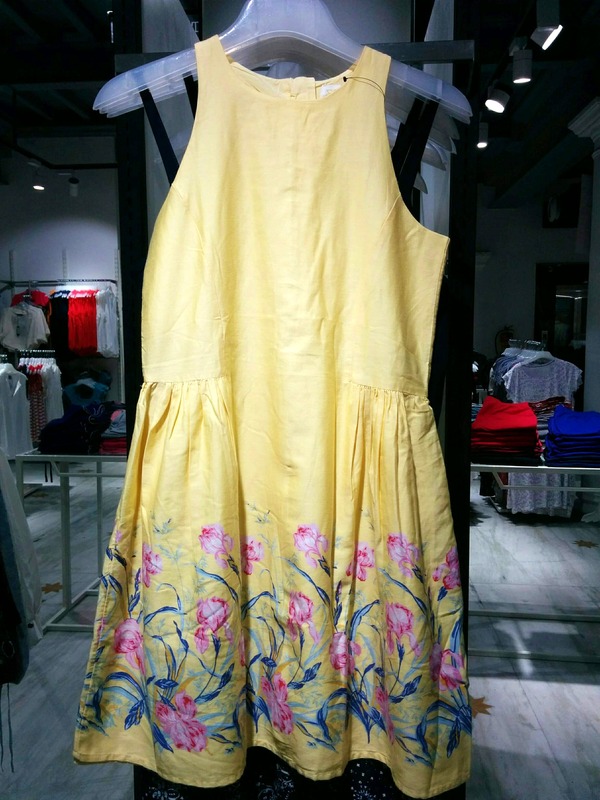 The summer dresses that start from about INR 500 are our favourite here. Available in beautiful floral, gingham, block and checkered prints, these are super comfy and come in a variety of shades. The skirts, casual kurtas and straight pants here are in particular a must-have for every summer wardrobe. Guys, you can choose from a range of t-shirts starting just INR 250. White and softer pinks, blues and greens can be particularly found in huge quantities here. The shorts and capris in corals and deep hues of blacks and blues are also rad! Waves also has an extensive collection of denim starting from size 32 and going up till 38 and come in varying shades of blues, greys, and blacks. As for the kids, you can find outfits starting from one-year-old babies to teenagers. T-shirts, frocks, shorts, skirts, leggings, shirts, nightwear and denim, they have it all, that too at affordable prices. The cotton variety is particularly lit and dominates the collection. We’re probably going to hoard up on some cotton slip-ons here. What about you?